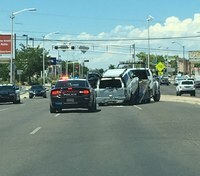 Albuquerque Police Officers located an auto theft offender who was in a stolen white Chevy Suburban in the area of Menaul Blvd and San Mateo Blvd Tuesday, June 20th around noon. 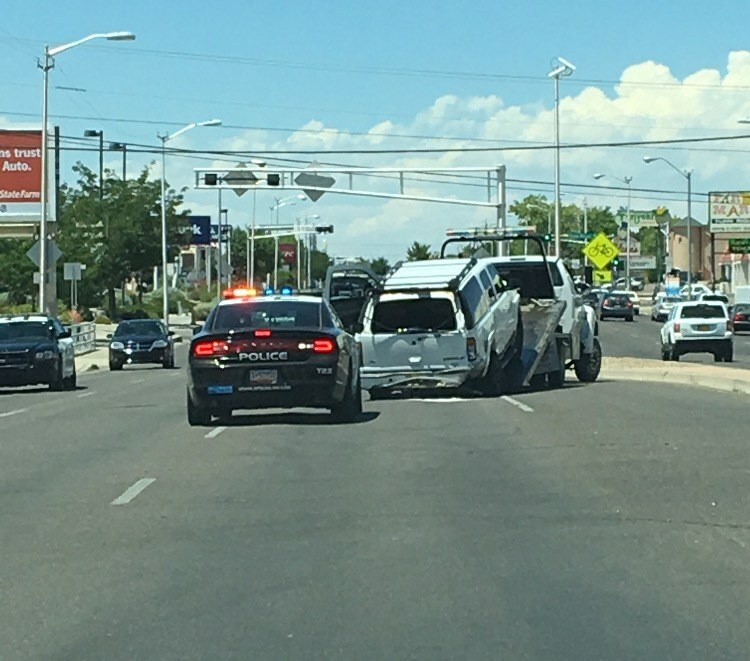 Officers attempted a traffic stop, but instead of complying, the offender rammed an occupied police vehicle and drove off. The Air Support Unit was able to follow the suspect as police units disengaged for safety. Air Support soon advised the suspect was driving extremely recklessly towards construction workers on the roadway and even pedestrians on the sidewalks. Officers were then advised to stop the fleeing vehicle. They again attempted to initiate a traffic stop in the area of Baldwin and Eubank. As they attempted to stop the suspect, the offender struck another police vehicle, then ditched the stolen car and fled on foot into a nearby arroyo. Officers ran after him and were able to take him into custody. All officers and citizens are safe. The offender has been taken to a local hospital for an evaluation and is believed to be a juvenile. He will face charges of Auto Theft, Aggravated Fleeing and Aggravated Battery on a Peace Officer.